This enjoyable take on the end of the world benefits from the presence of Steve Carell who plays a lonely, heartbroken man who fears that his last days on earth will be as crappy as the rest of his life was. Then he meets his downstairs neighbor Keira Knigthley and together, they decide to go on a road trip. And that’s it. 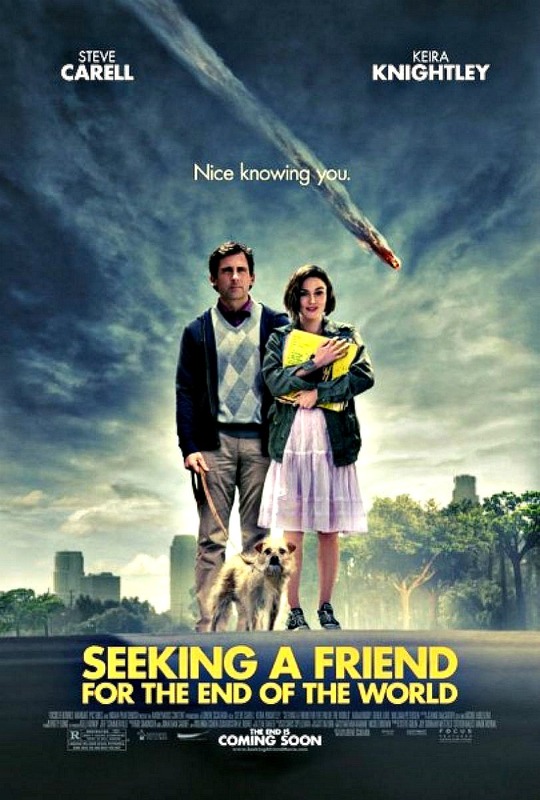 Screenwriter Lorene Scafaria (“Nick and Norah’s Infinite Playlist”), making her directing debut, has decided to approach Armageddon in a weird and funny way. That’s not necessarily a bad thing. But after a while, it became clear to me where this was heading, perhaps a big too clear. In fact, everything in the script seems made up of spare parts from other road movies. Scafaria whips up a slick, commercial package, but she can’t disguise the film’s sappy premise. And yet, it almost doesn’t matter. That’s because Carell and Knightley are just fun to watch. This should be more than enough to convince you to watch “Seeking a Friend”. It’s amusing, well cast and never boring, even as it covers familiar territory.